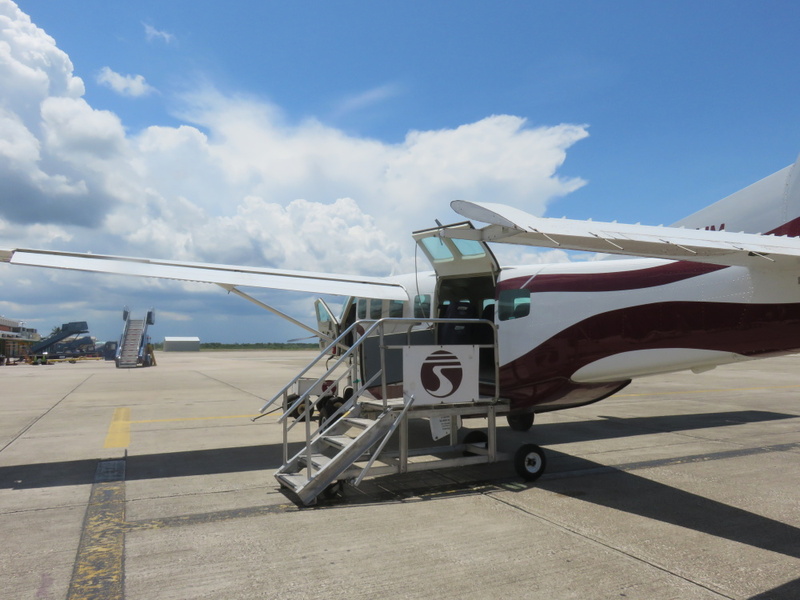 Home » Belize Travel Blog » Travel » Planes, Trains and Automobiles…and More Planes: I’m Home! 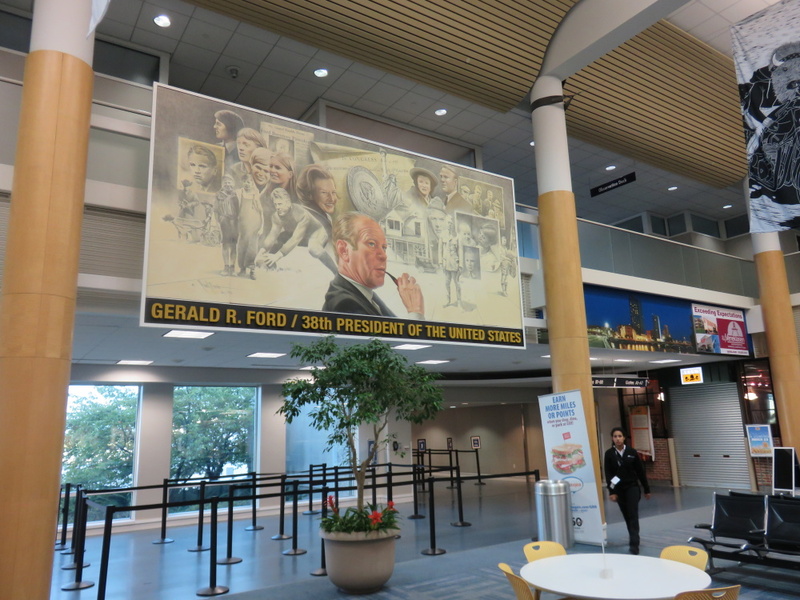 Planes, Trains and Automobiles…and More Planes: I’m Home! A long trip home became a wee bit longer on Sunday afternoon when we were experience some bad weather on Beaver Island, Michigan. JUST when we needed to fly the rain and a bit of thunder started…and for a little plane? That’s never good. Finally the plane arrived…just a little four seater…and we were off…bye Beaver Island. Man…what a great spot. The flight took us from Beaver Island to Traverse City – our friends ran to get their flight to New York – and made it. We were missing ours’ to Chicago. 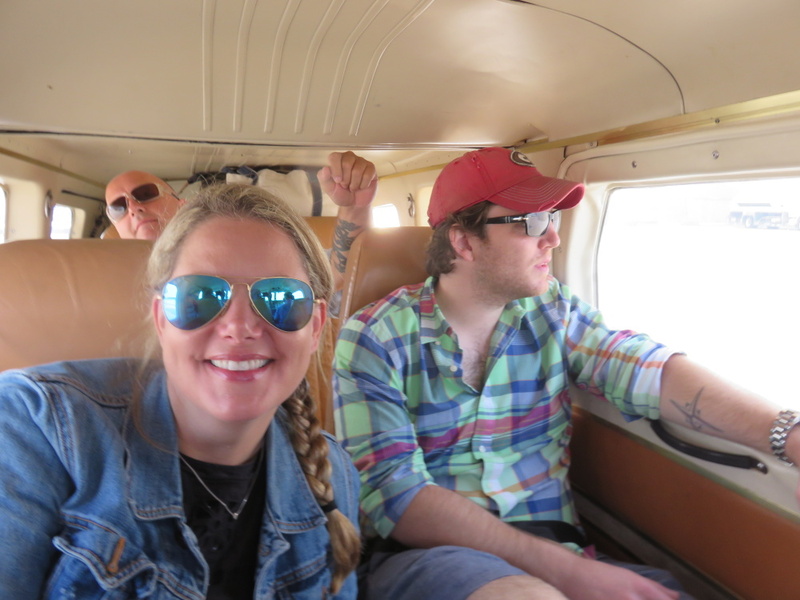 Bye Patrick and Melanie…what a super fun week. We went through our options with the lovely American employee at Cherry Capital Airport. It was Sunday afternoon and all flights out were full. 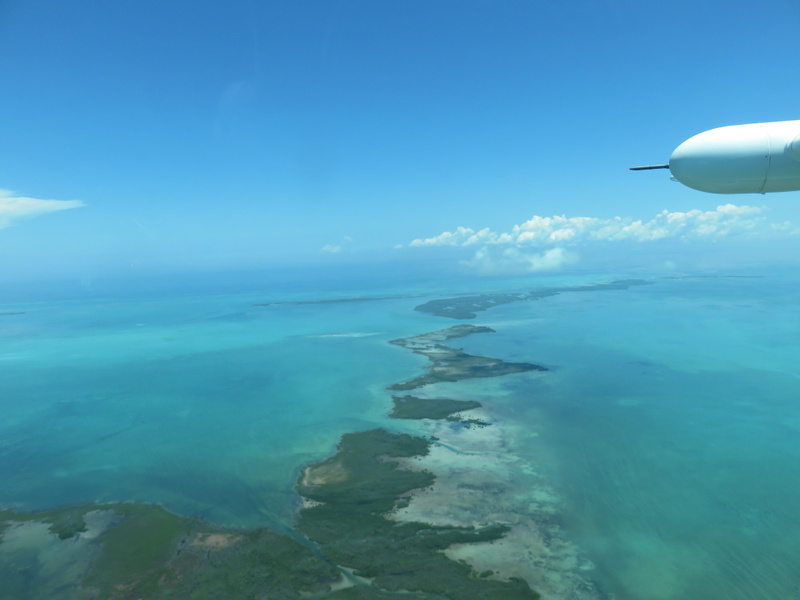 Best option to make our flight from Miami to Belize the next day? Rent a car. And drive south 2.5 hours to Grand Rapids, Michigan. Beautiful farm land and…through Cadillac, Michigan and…we were there. Up EARLY the next morning for the 6am to Miami and then the flight to Belize City. 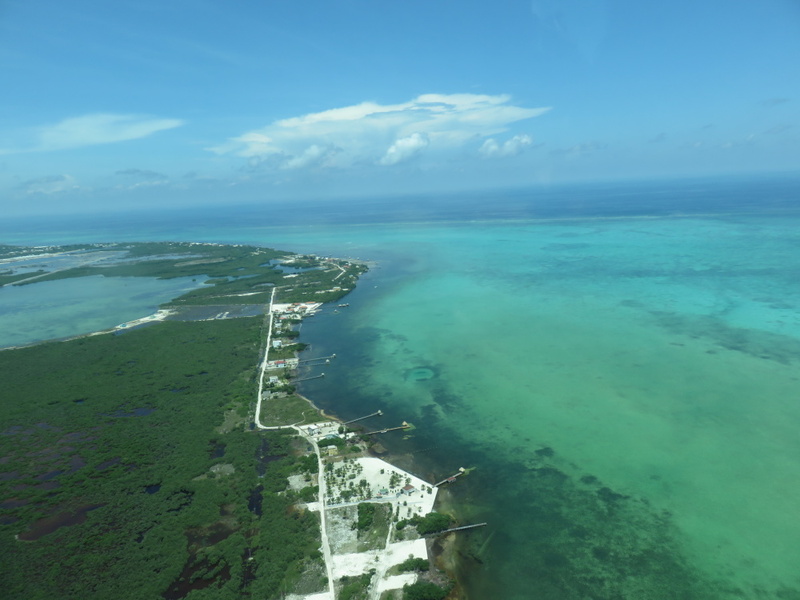 The view as we flew over St George’s Caye into BZE. 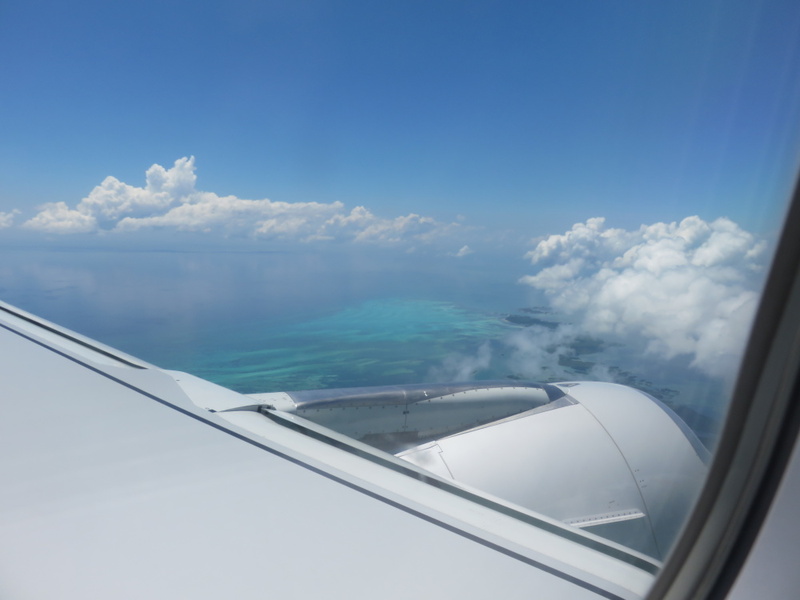 We exited the plane into the warm hot humid embrace of HOME. …we saw a mother manatee and her calf in the river and then a handful at the mouth of the river. BEAUTIFUL. 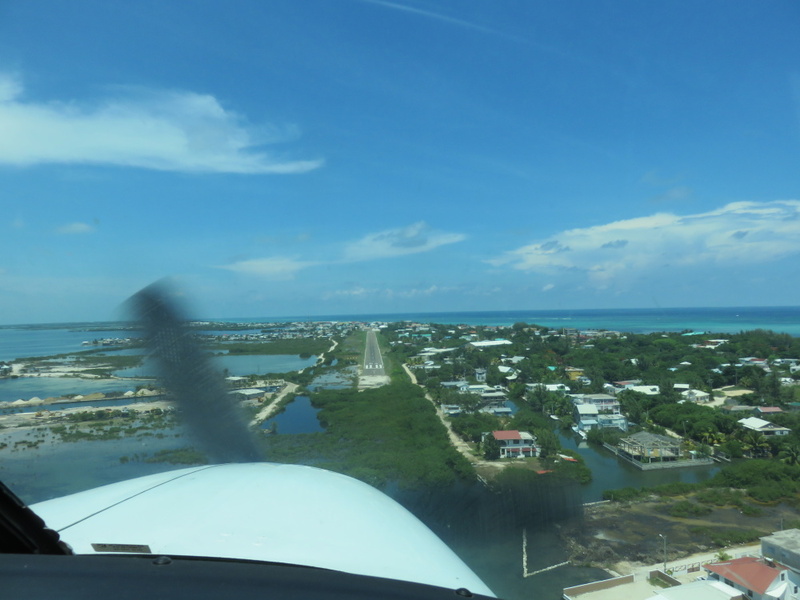 And back to Ambergris Caye. Hardly a breeze…you could hardly sea the reef…just a tiny break here and there. And then Tropic Air welcoming us home. One of my favorite signs on earth. 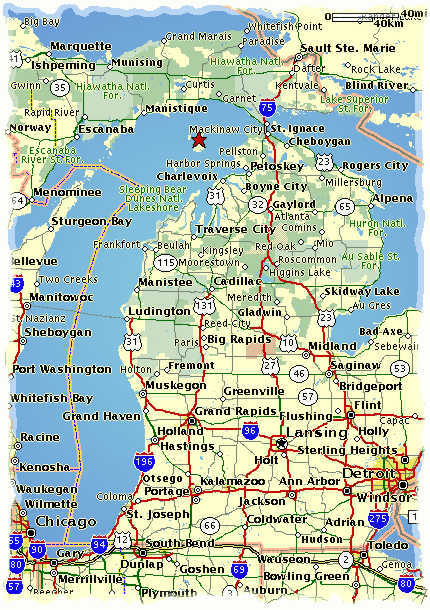 So there it is: Beaver Island to Traverse City – drive to Grand Rapids. Grand Rapids to Chicago. Chicago to Miami. Miami to Belize City. 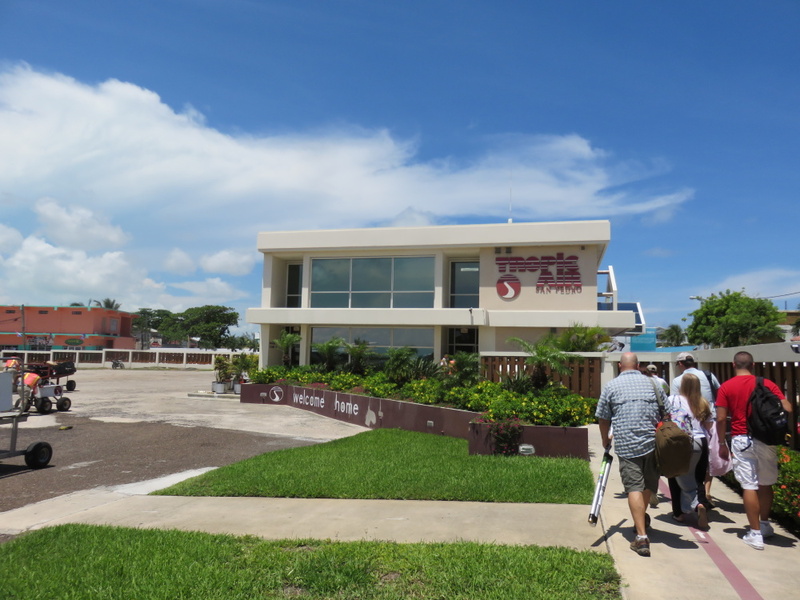 Belize City to Ambergris Caye. ARGGGGH! I didn’t have ONE oreo! I do! I do! I do! Hi. Can I ask a question? 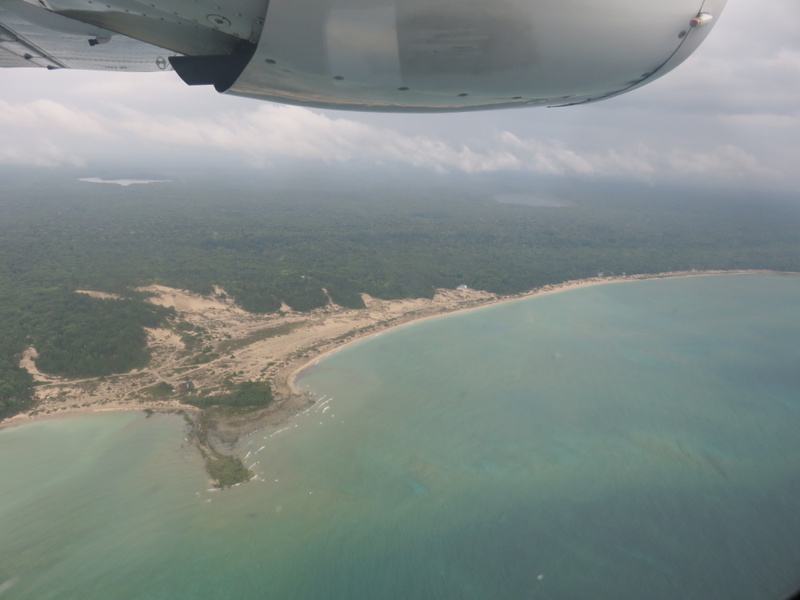 Hope that is ok, I just subscribed to the Scoop because my husband & I are planning our first trip to Belize – so excited. We have res at Tranquility Bay for a week in November. On the days either side of that, I want us to stay in San Pedro. When we were young in the 1970s we backpacked all over Central America, but somehow missed Belize. I need hotel advice. After a week at Tranquility I am hoping to be in the center of civilization for a change of pace. I want to walk to shops and restaurants and the water taxi dock. I want cute tropical small rather than fancy condo dive oriented. We will have had our fill of snorkeling already. I want charming and colorful. Drinks on the patio, but not wild nightlife. If you were me, where would you stay? Thanks! They look perfect. Darn, I think the first is booked up. I’ll try the other.